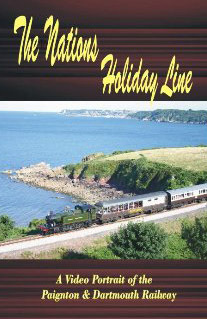 The Paignton & Dartmouth Steam Railway was once described as the line that has everything...and more. Running through almost seven miles of the most spectacular Devon scenery, the railway links the seaside resort of Paignton with the old port of Kingswear with it's river connection to Dartmouth. This programme, made with the assistance of the Railway, looks not only at day-to-day workings but also at some of the special trains and gala events. See behind the scenes with views inside the workshops & signal box, and the arduous task of steam locomotive preparation. Heritage diesel traction also features strongly in the programme. Running time approx 54 minutes. Carries captions with informative narration.